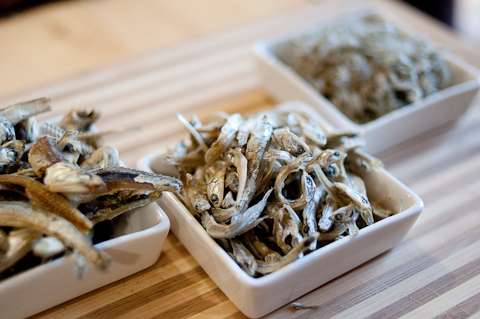 Whether you like anchovies or not, they are staple ingredients to many Korean dishes. Ironically though, these anchovies are rarely recognized on your plate because they are usually used as soup base and then tossed out. Unless you are cooking, the only other time you see them would be as side dishes. When you go shopping for anchovies, you may be perplexed to find so many different sizes of anchovies. Some could be as big as a little fish and some could be as little as tiny crumbs. 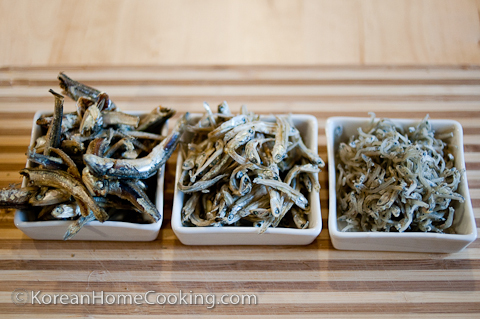 The rule of thumb is that you use bigger anchovies for soup base and the small ones for side dishes. The best way to shop is to look for white or silver skin and that taste subtly sweet. 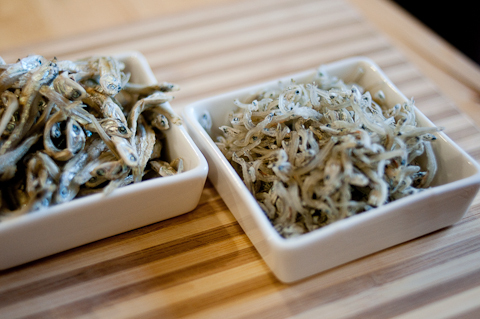 The mid-size anchovies can be used for either purpose. Though many people use anchovies as whole these days, it is advised that you trim off its head and the internal parts (i.e., black solids in the belly) to avoid bitter taste. 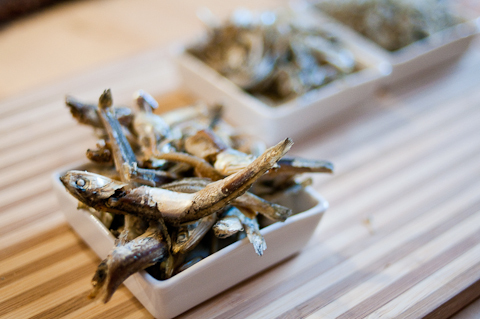 You can find several recipes in this blog that use anchovies. Nonetheless, it's advocated to get coming from simply respected and also well known internet vendors that delivers the newest number of bags. louis vuitton replica Furthermore, be sure you verify consumer critiques just before building a obtain. fake dior I will be a small business exec with Great Components Inc., In which We've stylish components and extremely related bags for girls and also diamond jewelry adored simply by superstars and also produced by one of the most adored developers and also brand names. gucci replica To learn A lot more concerning us all check out: replica louis vuitton Great Accessories-Buy Stylish Bags for girls. dior replica Bags are very important components for girls and also a lot of them are able to devote a lot of funds for your proper artist carrier.